J Kim Wright | A lawyer, servant leader, and independent scholar on a global tour to inspire transformation in law. This site is an on-line CV, a place where you can get to know me and more about what I do, want to do, can do, how I can help you. Overachiever that I am, I have bios focused on various topics. Friends say I must be 100 years old to have done as much as I have. This page is an overview. Click on the Links in the Menu to dig deeper about each of these hats I wear. 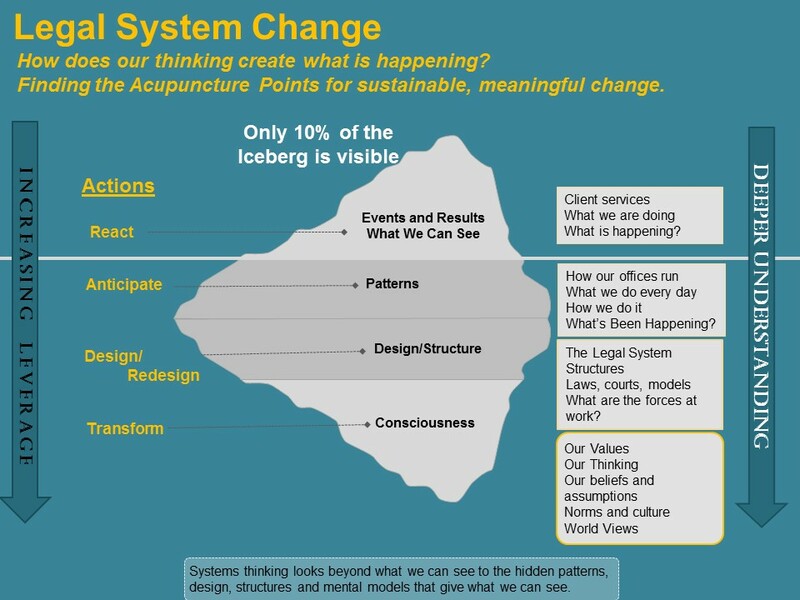 I am, first and foremost, in everything I do, an advocate for systems change in the law, particularly focusing on a set of values and models called Integrative Law. I’ve arranged my life to follow my passion and values and to connect with lawyers who are changing how law is practiced by following theirs. I was first licensed as a lawyer in 1989. I thought law practice was a pretty miserable profession and I avoided it — until I met Chicago lawyer Forrest Bayard. He talked about peacemaking, collaboration, and dignity and how his divorce clients became friends and co-parents after the divorce. He showed me that another way of practicing was possible. Until then, I thought I was alone. Meeting Forrest changed my life and transformed my law practice. It is my mission to follow in his footsteps and do that for others. Lawyers who are doing things differently are often seen as weird by their peers, even if what they’re doing is evolutionary and amazing. Having a community gives us courage to persist. In 1999, I was in a course that encouraged us to think about a project that was impossible and then find a way to do. 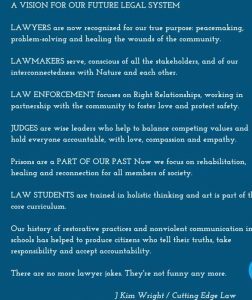 I created a project to transform law at a systemic level, to have lawyers be peacemakers, problem-solvers, and healers of conflicts, being agents of transformation in their communities. Lawyers are powerful influencers in communities, companies, government, and organizations. I figured that even if I failed, the world would be a better place. In the early 2000s, I attended dozens of events and conferences: holistic law, therapeutic jurisprudence, law and creative problem-solving, sacred activism, humanizing legal education, plain language, PISLAP, ADR, collaborative law, restorative justice, non-violent communication, and more. I observed common threads in the conversations, but no one else was attending all the conferences. Each was a separate silo and people didn’t know what was going on elsewhere. In 2008, I decided to pull those common themes together by educating the legal community, showcasing the pioneers, and finding ways to support the evolution of law. Transforming law wasn’t exactly a job description with a pay grade. I gave up my house and office and went on the road. I thought I’d be gone for three months. That was eleven years ago, and counting. Since then, I have met the most interesting, innovative, courageous, and principled lawyers in the world. At first, I thought I was creating a documentary. I traveled with a videographer and we filmed interviews of over 100 pioneers. Soon, it became clear that the stories were too powerful to reduce to clips and I posted the full interviews on the web (now at the Cutting Edge Law YouTube channel). Apparently I was onto something. Along the way, the ABA named me as a Legal Rebel (their designation for visionaries and trailblazers) in 2009 and asked me to write a book about what I was discovering: Lawyers as Peacemakers, Practicing Holistic, Problem-Solving Law was published in 2010 and went to the best-seller list in pre-sales and for months after publication. The ABA published my second book at the end of 2016. 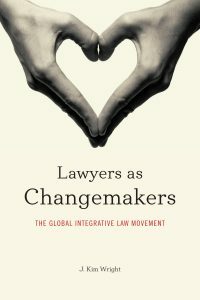 Lawyers as Changemakers, The Global Integrative Law Movement was released for pre-sales on CyberMonday and was the ABA’s best seller that day. It has gone on to respectable sales on Amazon (top in its category), in addition to the ABA site. There is a lot about our current legal system that is broken or could be improved. There are people working in those areas of reform and I am glad they are. I contribute to their organizations and celebrate their victories. When lawyers talk to me about their missions, I often hear that they want to be doing such advocacy and I happily connect them with their kindred spirits. My own attention is turned toward those who are building a system that works for all beings, one that is based on interconnectedness, an evolving consciousness, purpose and value, reflection, and personal integrity. I believe this is the legal system of the future and that our early efforts are like pilot projects for a future legal system that takes the best of the old and is open to the best of what is possible. Law: I consult with foundations, court systems, law firms, advocacy organizations, and legal practitioners about holistic and integrative models, well-being, and soft skills. I sometimes help law professors design courses which integrate these ideas. I coach lawyers who are serious about integrating their values, lives, and careers. Some are building new paradigm law firms. Some are in transition to new positions or figuring out what path to take. I work with trailblazers and pioneers who are courageously moving law forward. Conscious Business and Teal Organizations: I work at the intersection of organizational development and legal consulting. Whether designing a court system, a law firm, or a business, I bring fresh ideas from many disciplines. Through my work in Conscious Contracts, I help companies align their legal documents and cultures with their purpose and values. I think I’ve been a social entrepreneur all of my life. 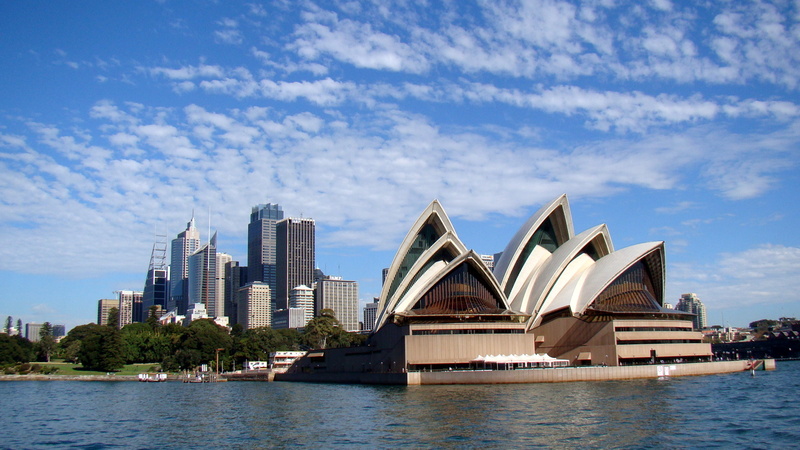 Social entrepreneurs start organizations to solve social problems. Cutting Edge Law Enterprises, Inc. is a social purpose corporation and I’m in tune with conscious business, benefit corporations, and social enterprises. With a behavioral neuroscientist, I’m co-founding a legal tech organization, creating an app for lawyers. I have written for Conscious Company Magazine and Enlivening Edge, the magazine for Next Stage (Teal) Organizations, inspired by Frederic Laloux’s book, Reinventing Organizations. I’m one of the founders and a member of the Cultivators Team of Forrest Webb, sponsor of the Legal Changemakers’ Cafés and the Future of the Law Firm project. Media Consulting: I am often a resource for the media. In addition to consulting on stories, I write articles and chapters. I’m interviewed a lot. I’ve been involved in several documentary projects. For example, I worked on a restorative justice documentary for A&E (the Arts and Entertainment Network). I advised the producers and was on-the-ground in screening cases, meeting with families of murder victims and those incarcerated for the murders. I worked on prison policies for RJ and for filming inside. Since then, I’ve worked on several treatments for other shows and have consulted with filmmakers and television producers on various topics. My kids would say I talk a lot. I also speak and train a lot. I am invited to bar associations, law societies, law schools, universities, private gatherings, and even an occasional club or church function. In October, 2015, I spoke at a TEDx event called “Practicing Change,” held at New York University School of Law. I train groups of lawyers and law students in many topics. Some representative ones are listed in the Catalog section. I’ve been licensed as a lawyer since 1989; since 1994 in North Carolina, the only state where I still have an active license. Early in my legal career, I learned about mediation (then a new concept in our community), collaborative law (a new concept just about everywhere at that time), restorative justice, therapeutic jurisprudence, plain language drafting, and holistic law. My law practice became my laboratory for learning and applying new ideas and models. I pushed the envelope in finding a way to ethically work in multidisciplinary teams and to have an office with counselors, social workers and legal staff. I used skills from one model of law practice in the others and (in addition to a top notch staff) I supervised interns in law and social work. I only occasionally practice law these days, mostly preferring the role of consultant, coach, or consultant to those writing Conscious Contracts. I still stay connected to some long-term legal clients and have an active law license. I write to attract attention to the Integrative Law movement and to showcase the innovators and pioneers in the movement. 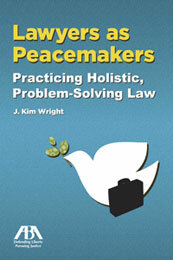 In addition to many articles and chapters, I am the author of the ABA best-selling book, Lawyers as Peacemakers, Practicing Holistic, Problem-Solving Law [ABA Publishing, April, 2010]. My second book is Lawyers as Changemakers, The Global Integrative Law Movement, which was the cyber-Monday ABA best seller when it was released in 2016. Click on the link to see more of my writing, although I’m not too motivated to keep it up to date. My LinkedIn account also includes quite a few articles. I try to stay in touch with legal education in other ways. For several years, I was on the planning committee of the Lawyers as Peacemakers annual conferences at Phoenix School of Law (also known as Arizona Summit Law). Since 2010, I have served on the executive committee of the ABA Legal Education and Practical Problem-Solving Task Force. I developed their website and have been on panels to speak of the task force’s work to legal educators. In 2016, I spoke at the Ashoka U Exchange, addressing changemaking law professors, most of whom are teaching in the social enterprise movement. That led to my participation in a Working Group for Reimagining Legal Education where I have signed up for the Impacting Law Practice and Impact Investment sub-groups and being a speaker and planner for the Ashoka U legal education pre-day program on Law and Social Innovation. I attended and was a keynote speaker at the 2018 Open University conference on the Futures of Legal Education and Practice. Sometimes I say that I collect lawyers. I am sincerely interested in what people are doing, who they are, how they got here, what they envision, their hopes, dreams and future adventures. You wouldn’t know it from reading this page so far, but I spend most of my time as a connector. In my travels, I find those who are the harbingers of the new, emerging future of law. I reach out to the interesting people whose stories cross my path. My writing attracts attention and I get emails from lawyers who previously thought they are alone. I stay in touch with Earth Lawyers, Sharing Lawyers, healing lawyers, peacemakers, and dozens of other kinds of innovators who are passionately solving the problems of the day and joyously working to move us all forward. I support, connect, and showcase the work of the paradigm-shifters. I help to language and highlight what is going on in the new system, and I liaison with our kindred spirits in other disciplines: conscious business. abundant communities, organizational development, consciousness, etc. I started my work in peacemaking and law early in my career – in the mid-1990s. In 1999, I attended my first conference of the International Alliance of Holistic Lawyers and I was a member, board member, website developer, and more there over the years. I was a founding board member of the Renaissance Lawyer Society and author of its original website over twenty years ago. 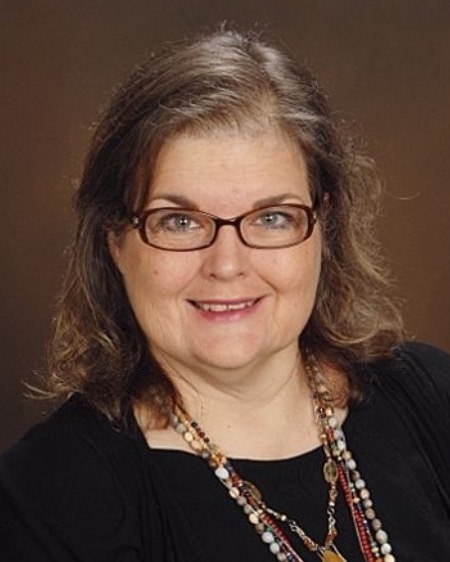 I have been an erstwhile member of the International Academy of Collaborative Professionals, National Association for Community and Restorative Justice, the Project for Integrating Spirituality, Law, and Politics and other organizations, task forces, and committees. When I am a member, I am usually an active one. I was one of the founders of the IACP Diversity Task Force and one of the hosts of the Diversity Summit in Niagara Falls, Ontario. I’ve helped plan dozens (maybe hundreds?) of conferences around the world. 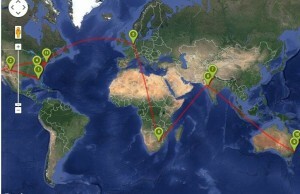 I’ve trained collaborative practitioners around the world. I have spoken at several IACP conferences and have written for the newsletter. I’ve also spoken at conferences of the National Conference for Community and Restorative Justice and I am a supporter of the Florida Restorative Justice Association. Currently, I’m a member of the advisory board of the International Society for Therapeutic Jurisprudence. In 2018, I became one of the co-chairs of the Relational Practices Task Force of the ABA Dispute Resolution Section and I was Chair of the Relational Practices Summit in September. I host the monthly call series. I’m a resource for the movement. I’m a Connector and Maven. I convene groups, lead retreats, and organize summits. Sometimes I convene those with special interests: lawyers who study the Enneagram, who study Jungian psychology, or even those who love music. In 2018, I was one of the convenors of a conference for “integrally-informed” lawyers and we plan to convene another group in 2019. My travels often take me back to the same places. I consult with local groups, look to see what is the next step, and help to design programs to move them forward. I’ve hosted two US summits of integrative lawyers from a broad spectrum of practice areas and often gather integrative lawyers in regional and national meetings. I am intrigued by societal transformation and my work often serves as a laboratory for applying the newest ideas. I am a student of many societal and organizational models for grounding transformation in groups. I am a fan of the Berkana Institute models. I have studied Appreciative Inquiry for more than 20 years. I’m certified in Spiral Dynamics I and II and was a speaker at the 2018 SDi Futures Summit which led to an article in Integral Leadership Review. I am also a graduate of the TheoryU U-Lab course, Transforming Business, Society, and Self. I was recognized with Honors in Becoming a Changemaker: Introduction to Social Innovation by University of Cape Town. I am a senior graduate of Landmark Education programs, with more than 1,000 hours of transformational education, including the Wisdom Curriculum through Power and Contribution. I am a past-participant and speaker at the Conference for Global Transformation. I’m in the R&D phase of developing a digital support and learning community tailored specifically to lawyers. I have had an unusual family life. I sometimes refer to it as mine, his, ours, and theirs. My first son was born in my sophomore year of college. My second husband had a big family when we married and we added a daughter to the mix. When I went to law school, I had seven children at home. That marriage ended in my second year of law school and I got an intimate taste of an adversarial divorce. Luckily the children and I have stayed connected. My [step] daughter was living with me when her first child was born – while I was taking my first bar exam. As the years went by, other children (often teenagers) moved in and became part of the family. We counted once and could name 16 children who lived with us over the years. Now it is a motley crew. My firstborn son has a three-year old. My youngest daughter still follows in the tradition of rescuing lost boys. The grandson born during my bar exam has five children. His sister has a toddler son. In between there is an extended family worthy of its own book. 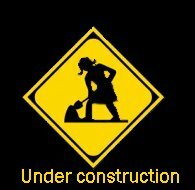 This site, like life, is under construction. Please be patient.